Founded in 2000, electronics distributor, Platinum Micro, didn’t begin selling online until 2004 but has expanded quickly since. Today, Platinum Micro has embraced multi-channel e-commerce, operating their own website in addition to selling on multiple marketplaces including Newegg. Despite its small size (only 22 employees) Platinum Micro has seen great success on Newegg Marketplace, achieving over $10 million in sales in the past two years alone. Platinum Micro’s success on Newegg Marketplace has not come without obstacles. In October 2016, Platinum Micro faced a significant challenge: maintaining buy box positioning. 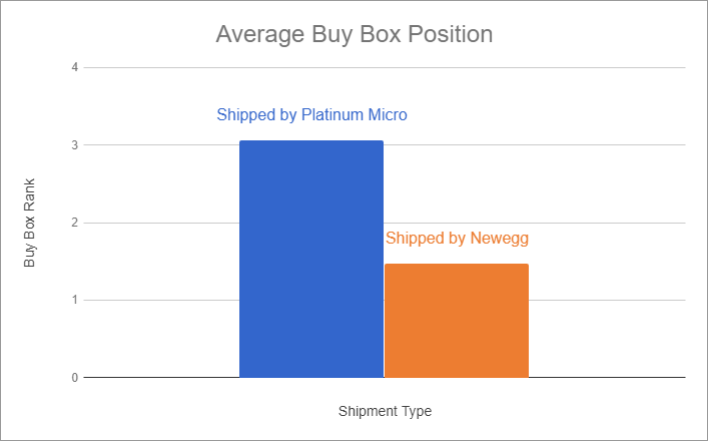 With an influx of sellers to Newegg Marketplace, competition for the buy box was heating up and Platinum Micro needed a solution that would help them win the buy box consistently. The solution came in the form of Newegg’s fulfillment service, Shipped by Newegg (SBN). Using Shipped by Newegg, Platinum Micro was able to leverage Newegg’s logistics infrastructure to store, pick, pack, and ship products. Not only did SBN help boost Platinum Micro’s average buy box position but it provided other significant benefits. 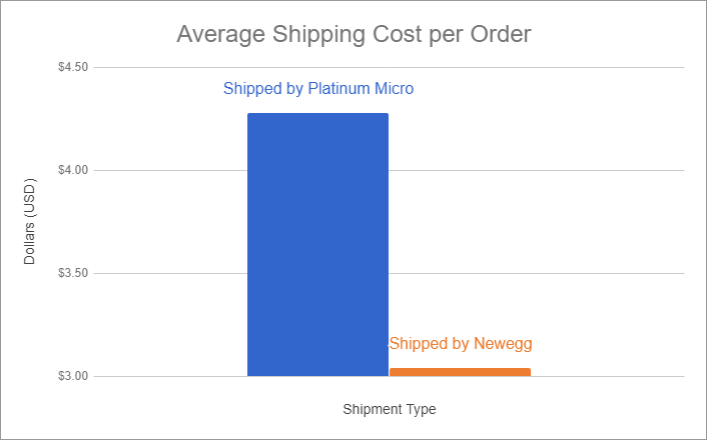 Although not Platinum Micro’s primary reason for utilizing Shipped by Newegg fulfillment, shipping cost savings came as a welcome benefit. From January 1, 2017 to September 30, 2017 Platinum Micro achieved an average cost savings of 28.97% on orders shipped via SBN. During this period Platinum Micro spent an average of $4.28 per order on self-shipped orders compared to just $3.11 per order on SBN orders; an average savings of $1.24 per order. In addition, Platinum Micro’s cost savings on fulfillment did not factor in any savings associated with reduced requirements for logistics personnel and warehousing space. Since implementing SBN fulfillment Platinum Micro has seen an increase of 1 egg (star) on their seller reviews for orders shipped using SBN compared to orders shipped directly by Platinum Micro. Platinum Micro’s SBN orders averaged 5 eggs (stars) while their other orders averaged 4 eggs (stars). In addition, many seller ratings for SBN orders were accompanied with glowing comments like this one from Chris S.: “My SSD arrived two days before it was scheduled to. I got the exact product I expected, and it was packed well.” SBN’s ability to reduce turnaround time from purchase to shipment translated to happier customers which in turn contributed to Platinum Micro’s rise in buy box positioning. 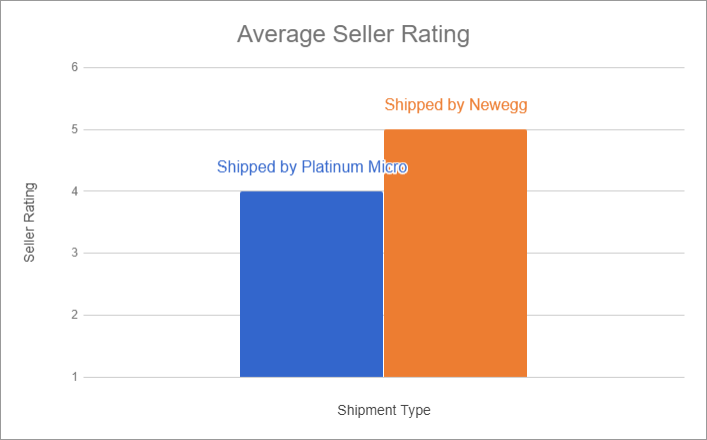 While Newegg doesn’t disclose all the details of its buy box logic, Shipped by Newegg fulfillment does factor into the algorithm as Platinum Micro demonstrated. After activating SBN for a number of key products, Platinum Micro saw consistent gains in buy box positioning achieving an average buy box position of 1.48 when an item was shipped by Newegg compared to average buy box position of 3.07 when the same item was shipped by Platinum Micro. That’s a 114% increase in buy box rank with SBN. Combined with other factors, SBN’s impact on buy box positioning helped Platinum Micro beat out the competition and realize over $5 million in revenue on Newegg Marketplace in the past year alone. 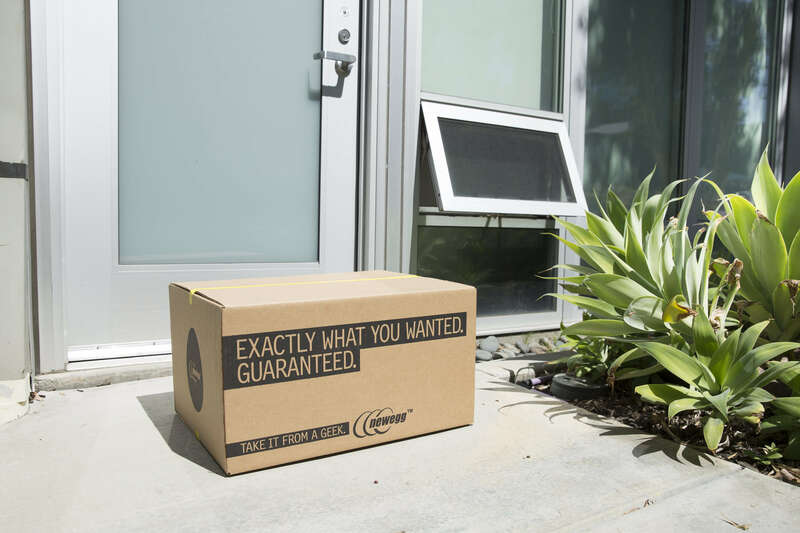 Whether you’re looking to improve customer experience by reducing purchase to shipment time, reduce logistics costs, or increase buy box rank, Shipped by Newegg can help. Login to Newegg Seller Portal and follow our step-by-step guide to activate SBN for your products today! Not a Newegg Marketplace Seller? Apply Today!